Global conference, Social Media Week is returning to Bristol from 26th February – 2nd March 2018. One of 25 cities worldwide to host Social Media Week, Bristol is the only city in the UK outside of London to get involved. Home of the world's top University Business Incubator, ranked as number one city for starting a business by the Start Up Cities Index, claiming the 'Coolest City in the UK' crown in 2017 & most recently voted by the New York Times as one of the best places in the world to visit in 2018, Bristol is ideally placed to host and deliver a world class digital event of this scale. The 2018 edition of Social Media Week Bristol will have a curated stream of inspirational events, talks and seminars. And,is now putting a final call out for high profile social media speakers and sponsor partners looking to engage digital professionals, social media experts, business owners and brands for the last two slots. 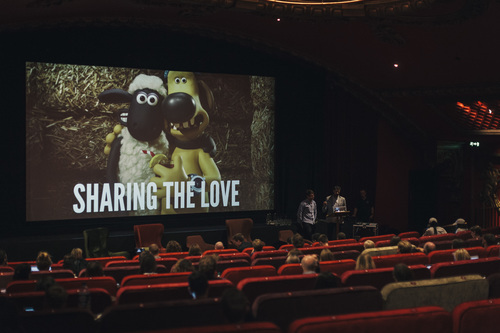 It promises to be as impressive as the inaugural Social Media Week Bristol held in November 2016 which trended live on Twitter, included keynotes from Facebook, Buzzfeed, Twitter, Glassdoor and Yahoo, a 50-strong events programme attended by over 1,500 delegates from over 80 different brands and businesses and visitors from as far afield as Austin, Texas. Presented by Business West, Bristol Media, and Destination Bristol, Social Media Week Bristol provides a global collaborative and innovative platform to showcase the South West’s expertise as well as providing grass roots opportunities for networking, knowledge sharing and engagement with the wider business community. The event will bring together key players that contribute to that knowledge and also seek to facilitate collaboration with businesses and enterprises that have yet to fully realise the potential of social media. It has events tailored to businesses and professionals who want to further their understanding of emerging technology, mobile and social media and sessions dedicated to those who are already at the cutting edge of new trends. The event includes a stellar line up of industry support from agencies and partner and trade organisations such as Digital Marketing Association, PRCA and Business Marketing Club. Social Media Week which commemorates its 10th anniversary in 2018 will have the global theme, “Closer” which will explore the intensifying conflict between community and individualism. Tickets will go on sale late January. If you would like to be alerted when the schedule goes live, please visit https://smwbristol.co.uk to register. To start a conversation online go to #smwbristol, or please contact organising partner, Ambitious PR on 0117 905 1177 to find out more. SMW is a leading news platform and worldwide conference that curates and shares the best ideas, innovations and insights into how social media and technology are changing business, society and culture around the world. SMW is an established, respected and truly international event. SMW hosts over 25 conferences four times a year on dedicated weeks in February, June, September & November, across six continents. On a global level, SMW reaches 75,000 physical attendees, hosts 10,000 speakers and has a global reach of 600 million people. SMW is one of the world's most important source of information in regard to the future of human connectivity, with four editions of SMW held per year, and in 2018 SMW will celebrate its 10-year anniversary in New York City. This press release was distributed by ResponseSource Press Release Wire on behalf of Ambitious PR in the following categories: Men's Interest, Entertainment & Arts, Leisure & Hobbies, Women's Interest & Beauty, Consumer Technology, Business & Finance, Education & Human Resources, Media & Marketing, Retail & Fashion, Computing & Telecoms, for more information visit https://pressreleasewire.responsesource.com/about.